Bigger is usually better in the world of graphics cards, but these days, plenty of people want plus-sized power in fun-sized packages. Enter Gigabyte’s GeForce GTX 1080 Mini ITX 8G, the smallest GTX 1080 yet—and an early strike against AMD’s incoming Radeon RX Vega Nano. At 169mm in length, Gigabyte’s graphics card is the perfect fit for mini-ITX motherboards, which measure 170mm. The GeForce GTX 1080 Mini ITX 8G offers the same 1607MHz base clock and 1733MHz boost speeds as a GTX 1080 Founders Edition and manages to do so in a package that’s nearly 100mm shorter. That makes you wonder how hot and loud the card will run under load, but Gigabyte augmented the single semi-passive 90mm fan with a densely stacked heat sink and three copper heat pipes in direct contact with the GPU, as Tech Report first noted. The GTX 1080 Mini ITX 8G also packs a 5+2 power phase design, a step up over the 5+1 design in the Founders Edition. 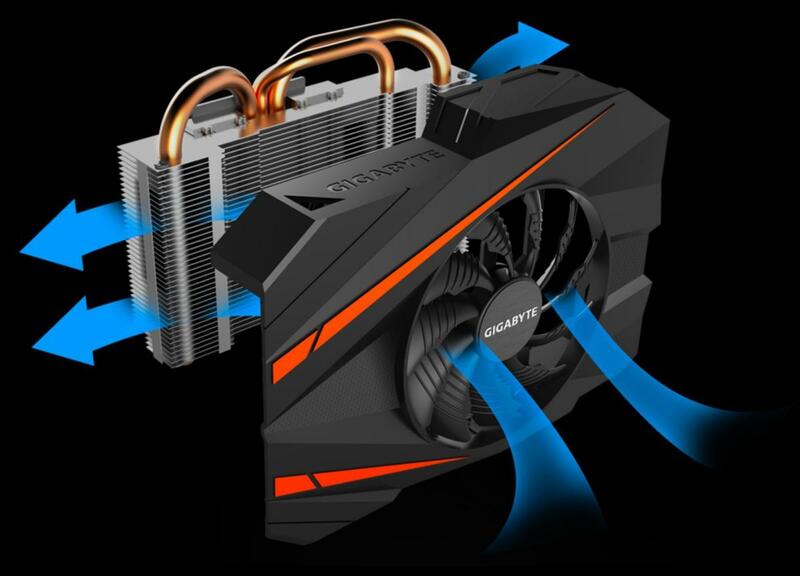 Beyond the size and cooling design, Gigabyte’s card carries the same specs as any other GTX 1080—8GB of GDDR5X memory, 180-watt TDP over an 8-pin power connector, et cetera. A mini-ITX GTX 1080 sounds exciting indeed, but the timing of the announcement is just as interesting. During the Radeon RX Vega launch at Siggraph on July 31, AMD teased the Radeon RX Vega Nano, a mini-ITX graphics card bearing its own high-end graphics processor. Vega Nano follows in the footsteps of 2015’s Radeon Nano, which blended AMD’s most potent GPU at the time with high-bandwidth memory's smaller on-board footprint to create the first mini-ITX graphics card capable of high-end 1440p gaming or even entry-level 4K gaming when paired with a FreeSync monitor. At the time, Nvidia could only field a mini-ITX GTX 970 against it, and AMD’s hardware dominated. The Radeon RX Vega 64 and GeForce GTX 1080 are pretty evenly matched performance-wise, so the new Vega Nano will have much more of a fight on its hands with Gigabyte’s itty-bitty gaming card. We don’t know when the all-out brawl for mini-ITX supremacy will occur, though. 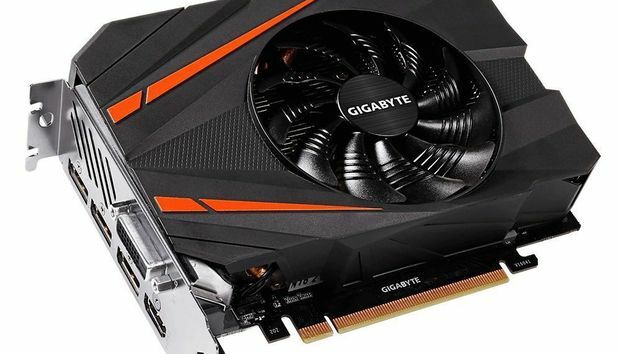 Neither Gigabyte nor AMD have revealed pricing or release date details for their high-powered yet small-sized graphics cards.